Dr. Shannon Carey, Co-President and Senior Research Associate at NPC Research, has worked in the areas of criminal justice and substance abuse treatment for over 15 years, particularly in the area of drug courts and cost analyses. Her experience includes managing, designing, and implementing evaluations of programs related to substance abuse prevention and treatment, and adult criminal justice and juvenile justice policy. Altogether, she has been involved in performing process, outcome and/or cost evaluations in over 175 adult, juvenile, family, reentry and DWI drug courts across the U.S. as well as providing technical assistance and training in drug courts operating in New Zealand, Chile, Australia, and England. Dr. Carey has also performed several NIJ-funded projects including a current cross-site study examining process, outcomes and costs in reentry courts in the U.S., and past studies such as a detailed cost-benefit analysis of the drug court in Portland, Oregon; an examination of 10 years of data from the same Portland drug court; a study investigating changes in drug courts with the implementation of Prop 36 in California; and a paper exploring the 10 Key Components, outcomes, and cost in 18 drug courts in four different states. She later built on the 18-site study with more evaluation results and published a paper for which she analyzed best practices within the 10 Key Components using evaluation results in 101 adult drug courts nationally. Dr. Carey led efforts to build web-based tools in California and Michigan that drug courts can use to determine their own costs and benefits. She has also acted as consultant for the Portland Police Bureau on economic crime (such as identity theft) and juvenile offender issues. As Project Coordinator for the Risk Screening and Assessment Project of the Oregon Juvenile Department Directors’ Association (OJDDA), she was responsible for developing and implementing a statewide set of instruments for use with juvenile offenders and youths at risk of juvenile justice involvement. Dr. Carey is a faculty member at the National Drug Court Institute and is a member of the American Evaluation Association, the Oregon Program Evaluators Network, the National Association of Drug Court Professionals, and the American Society of Criminology. 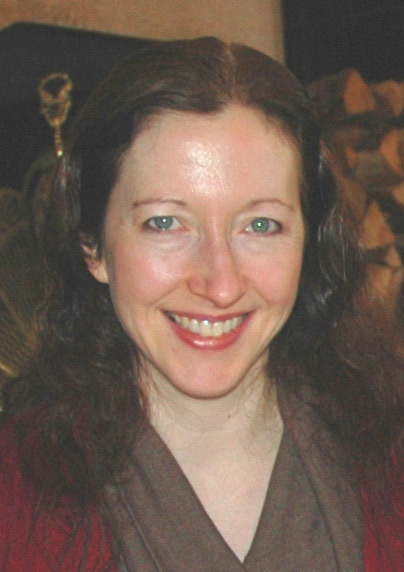 Dr. Carey earned her Ph.D. from Portland State University in Systems Science and Applied Psychology. On this page you can access all the reports, publications, and projects relevant to specific staff and available to the public from NPC Research. In one of the fields below, enter a title, choose a type (project, publication, or presentation) from the drop-down menu, or choose a topic area from the drop-down. The results will sort automatically. Click on bold type for more information on any item of interest. Breitenbucher, P., Carey, S. M., Cima, D., Guthrie, J., Marshall, D., & Vlavianos, R. (2016, June) Fundraising and Ethical Considerations: A Focus on Judicial Ethics Presented at the National Association of Drug Court Professionals Annual Training Conference, Anaheim, CA. van Wormer, J., Carey, S. M., & Blomquist, M. (2016, June) What’s Behind the Curtain? New Research in Juvenile Drug Court Practices Presented at the National Association of Drug Court Professionals Annual Training Conference, Anaheim, CA. Carey, S. M., Malsch, A. M., Zil, C. E., & Ayoub, L. H. (2016, June) How do Reentry Courts work? Findings from NIJ’s Multi-State Research on Reentry Courts Presented at the National Association of Drug Court Professionals Annual Training Conference, Anaheim, CA. Vlavianos, R., Floerke, S., & Carey, S. M. (2016, June) How to Implement Research-Based Best Practices in Your DWI Court Presented at the National Association of Drug Court Professionals Annual Training Conference, Anaheim, CA. Carey, S. M., & Zil, C. E. (2016, June) Data, Evaluation and Outcomes: What You Should Collect and Why Presented at the National Association of Drug Court Professionals Annual Training Conference, Anaheim, CA. Mackin, J. R., & Carey, S. M. (2016, June) Monitoring and Evaluation: Using Good Data to Get Good Results Presented at the National Association of Drug Court Professionals Annual Training Conference, Anaheim, CA. Vlavianos, R., Floerke, S., Harrison, P. M., & Carey, S. M. (2015, July) DWI Court Research and Best Practices: What’s the Latest Evidence? Presented at the National Association of Drug Court Professionals Annual Training Conference, National Harbor, MD. van Wormer, J., & Carey, S. M. (2015, July) Effective Strategies in Juvenile Drug Court: Research and Best Practices! Presented at the National Association of Drug Court Professionals Annual Training Conference, National Harbor, MD. Carey, S. M., & Zil, C. E. (2015, July) Data, Evaluation and Outcomes: What You Should Collect and Why Presented at the National Association of Drug Court Professionals Annual Training Conference, National Harbor, MD. Carey, S. M., Mackin, J. R., Rice, B., Becker, J., Porter, R., Kushner, J., & Wyatt, B. (2015, July) Drug Court Peer Review Implementation Successes and Lessons Learned Presented at the National Association of Drug Court Professionals Annual Training Conference, National Harbor, MD. Lindquist, C., Hassoun Ayoub, L., Dawes, D., Harrison, P. M., Malsch, A. M., Hardison Walters, J., Rempel, M., Carey, S. M. (August 2014) The National Institute of Justice’s Evaluation of Second Chance Act Adult Reentry Courts: Staff and Client Perspectives on Reentry Courts from Year 2 Submitted by RTI International, Center for Court Innovation, and NPC Research to the National Institute of Justice. Kissick, K., Waller, M. S., & Carey, S. M. (Sept. 2013) Bexar County Felony Drug Court: Process, Outcome, and Cost Evaluation. Submitted to Bexar County Felony Drug Court Program. Mackin, J. R., Aborn, J. A., Sanders, M. B., Kissick, K., & Carey, S. M. (Sept. 2013) Marion County Fostering Attachment Treatment Court Follow-up Process and Outcome Evaluation Report. Submitted to the Marion County Children & Families Department and the Marion County Circuit Court. Carey, S. M., & Finigan, M. W. (2013, July) Top 10 Drug Court Best Practices and More! Presented at the National Association of Drug Court Professionals Annual Training Conference, Washington, DC. Carey, S. M., Mackin, J. R., Burleson, D., & Welker, K. (2013, July) Family Treatment Court Costs and Best Practices: What Do We Know So Far? Presented at the National Association of Drug Court Professionals Annual Training Conference, Washington, DC. Garcia, J., & Carey, S. M. (2013, July) Dealing with the High-Risk High-Need Caseload. Presented at the National Association of Drug Court Professionals Annual Training Conference, Washington, DC. Rice, B., Jaeger, N., & Carey, S. M. (2013, July) Data, Evaluation and Fidelity to the Model: Best Practices. Presented at the National Association of Drug Court Professionals Annual Training Conference, Washington, DC. Viavianos, R., Rice, B., & Carey, S. M. (2013, July) The Latest Findings on DWI Court Outcomes and Practices: What Do We Know So Far? Presented at the National Association of Drug Court Professionals Annual Training Conference, Washington, DC. Waller, M. S., Carey, S. M., Farley, E. J., & Rempel, M. (March 2013) Testing the Cost Savings of Judicial Diversion: Final Report. Submitted to the New York State Unified Court System by the Center for Court Innovation and NPC Research. Lindquist, C., Hardison Walters, J., Rempel, M., & Carey, S. M. (Feb. 2013) The National Institute of Justice’s Evaluation of Second Chance Act Adult Reentry Courts: Program Characteristics and Preliminary Themes from Year 1. Submitted by RTI International, Center for Court Innovation, and NPC Research to the National Institute of Justice. Sanders, M. B., & Carey, S. M. (Dec. 2012) Noble County Drug Court, Noble County, Indiana, Process Evaluation Report. Submitted to Noble County Drug Court Program. Carey, S. M., Sanders, M. B., & Malsch, A. M. (Sept. 2012) Colorado Statewide DWI and Drug Court Process Assessment and Outcome Evaluation. Submitted to Colorado Judicial Department, Office of the State Court Administrator. Portland, OR: NPC Research. Carey, S. M., Herrera Allen, T., & Einspruch, E. L. (Sept. 2012) San Joaquin DUI Monitoring Court Process and Outcome Evaluation. Submitted to San Joaquin County Collaborative Courts and the California Office of Traffic Safety. Portland, OR: NPC Research. Carey, S. M., Mackin, J. R., Burleson, D. J., Welker, K., Zemmelman, C. (2012, June) Aligning Family Drug Courts with Adult Best Practices: Are we coloring outside the lines? Presented at the National Association of Drug Court Professionals Annual Training Conference, Nashville, TN. Carey, S. M., Gerson, A., Jaeger, N., Mackin, J. R., & Peinado, A. (2012, June) Polishing your program: How to assess and implement best practices in your drug court. Presented at the National Association of Drug Court Professionals Annual Training Conference, Nashville, TN. Carey, S. M., & Mackin, J. R. (2012, June) Top 10 drug court best practices and more! What works? New findings from the latest research. Presented at the National Association of Drug Court Professionals Annual Training Conference, Nashville, TN. Carey, S. M., Mackin, J. R., & Finigan, M. W. (2012) What Works? The Ten Key Components of Drug Court: Research-Based Best Practices. Drug Court Review, 8(1), 6-42. Carey, S. M., & Mackin, J. R. (2011, July) Juvenile Drug Courts: Show Me the Money! Presented at NADCP Annual Training Conference, Washington, DC. Carey, S. M., Mackin, J. R., & Finigan, M. W. (2011, July) What Works: Best Practices in Adult Drug Courts. New Findings from the Latest Research. Presented at NADCP Annual Training Conference, Washington, DC. Carey, S. M. (2011, July) Family Drug Treatment Courts: Costs and Consequences—A Tale of Two FDC’s. Presented at NADCP Annual Training Conference, Washington, DC. Mackin, J. R., Lucas, L. M., Lambarth, C. H., Waller, M. S., Herrera Allen, T., Carey, S. M., & Finigan, M. W. (Jan. 2010) Howard County District Court Drug Treatment Court Program Outcome and Cost Evaluation. A report to the Maryland Judiciary, Office of Problem-Solving Courts. NPC Research: Portland, OR. Mackin, J. R., Lucas, L. M., Lambarth, C. H., Herrera Allen, T., Waller, M. S., Carey, S. M., & Finigan, M. W. (Jan. 2010) Baltimore County Juvenile Drug Court Outcome and Cost Evaluation. A report to the Maryland Judiciary, Office of Problem-Solving Courts. NPC Research: Portland, OR. Mackin, J. R., Lucas, L. M., Lambarth, C. H., Waller, M. S., Herrera Allen, T., Carey, S. M., & Finigan, M. W. (Jan. 2010) Montgomery County Adult Drug Court Outcome and Cost Evaluation. A report to the Maryland Judiciary, Office of Problem-Solving Courts. NPC Research: Portland, OR. Mackin, J. R., Lucas, L. M., Lambarth, C. H., Waller, M. S., Herrera Allen, T., Carey, S. M., & Finigan, M. W. (Jan. 2010) Anne Arundel County Juvenile Treatment Court Outcome and Cost Evaluation. A report to the Maryland Judiciary, Office of Problem-Solving Courts. NPC Research: Portland, OR. Mackin, J. R., Lucas, L. M., Lambarth, C. H., Waller, M. S., Herrera Allen, T., Carey, S. M., & Finigan, M. W. (Jan. 2010) St. Mary’s County Juvenile Drug Court Outcome and Cost Evaluation. A report to the Maryland Judiciary, Office of Problem-Solving Courts. NPC Research: Portland, OR. Mackin, J. R., Lucas, L. M., Lambarth, C. H., Waller, M. S., Carey, S. M., & Finigan, M. W. (Dec. 2009) Baltimore City Circuit Court Adult Drug Treatment Court and Felony Diversion Initiative: Outcome and Cost Evaluation. A report to the Maryland Judiciary, Office of Problem-Solving Courts. NPC Research: Portland, OR. Mackin, J. R., Lucas, L. M., Lambarth, C. H., Waller, M. S., Herrera Allen, T., Carey, S. M., & Finigan, M. W. (Dec. 2009) Anne Arundel County DUI Court Program Outcome and Cost Evaluation. A report to the Maryland Judiciary, Office of Problem-Solving Courts. NPC Research: Portland, OR. Mackin, J. R., Lucas, L. M., Lambarth, C. H., Waller, M. S., Herrera Allen, T., Carey, S. M., & Finigan, M. W (Dec. 2009) Howard County District Court DUI Court Program Outcome and Cost Evaluation. A report to the Maryland Judiciary, Office of Problem-Solving Courts. NPC Research: Portland, OR. Mackin, J. R., Lucas, L. M., Lambarth, C. H., Waller, M. S., Herrera Allen, T., Carey, S. M., & Finigan, M. W. (Dec. 2009) Wicomico County Circuit Court Adult Drug Treatment Court Program Outcome and Cost Evaluation. A report to the Maryland Judiciary, Office of Problem-Solving Courts. NPC Research: Portland, OR. Mackin, J. R., Carey, S. M., Finigan, M. W., Lucas, L. M., Lambarth, C. H., Waller, M. S., Herrera Allen, T., Weller, J. M., & Linhares, B. (Dec. 2009) Maryland Problem-Solving Courts Evaluation, Phase III: Integration of Results from Process, Outcome, and Cost Studies Conducted 2007-2009. A report to the Maryland Judiciary, Office of Problem-Solving Courts. NPC Research: Portland, OR. Carey, S. M., & Mackin, J. R. (2009, June) Best Practices in Adult Drug Courts: Reduce Recidivism and Costs. Presented at the National Association of Drug Court Professionals Annual Training Conference, Anaheim, CA. Carey, S. M. (2009, June) California Drug Court Statewide Cost Study: Preliminary Findings in 25 Sites. Presented at the National Association of Drug Court Professionals Annual Training Conference, Anaheim, CA. Mackin, J. R., & Carey, S. M. (2009, June) Getting the Most out of Your Evaluation. Presented at the SAMHSA/CSAT grantee meeting, Anaheim, CA. Mackin, J. R., Lucas, L. M., Lambarth, C. H., Waller, M. S., Weller, J. M., Aborn, J. A., Linhares, R., Allen, T. L., Carey, S. M., & Finigan, M. W. (June 2009) Baltimore City District Court Adult Drug Treatment Court 10-Year Outcome and Cost Evaluation. A report to the Maryland Judiciary, Office of Problem-Solving Courts. NPC Research: Portland, OR. Mackin, J. R., Carey, S. M., Finigan, M. W., Allen, T. L., & James, D. (April 2009) Dorchester County (District) Adult Drug Treatment Court Process Evaluation. A report to the Maryland Judiciary, Office of Problem-Solving Courts. NPC Research: Portland, OR. Mackin, J. R., Carey, S. M., Finigan, M. W., Linhares, R., Weller, J. M., & James, D. (April 2009) Harford County Circuit Court Adult Drug Court Process Evaluation. A report to the Maryland Judiciary, Office of Problem-Solving Courts. NPC Research: Portland, OR. Mackin, J. R., Carey, S. M., Finigan, M. W., Weller, J. M., Mackin, R., & James, D. (March 2009) Worcester County Juvenile Drug Court Process Evaluation. A report to the Maryland Judiciary, Office of Problem-Solving Courts. NPC Research: Portland, OR. Weller, J. M., Mackin, J. R., Carey, S. M., & Finigan, M. W. (March 2009) Umatilla County Drug Court Process Evaluation A report to the Umatilla County Community Corrections. NPC Research: Portland, OR. Carey, S. M., & Binion, J. (2009, February) How to Do Cost-Benefit Analysis in Your Adult Drug Court: Introducing the DCCAT, the New DCCMIS Addition! Presented at the Michigan Association of Drug Court Professionals Annual Conference, Lansing, MI. Carey, S. M. (2009, February) Drug Courts: Some Answers to Our Burning Questions: How Drug Court Practices Impact Recidivism and Costs. Presented at the Michigan Association of Drug Court Professionals Annual Conference, Lansing, MI. Mackin, J. R., Carey, S. M., Finigan, M. W., Allen, T. L., & James, D. (Jan. 2009) Anne Arundel County (Circuit) Adult Drug Court Process Evaluation. A report to the Maryland Judiciary, Office of Problem-Solving Courts. NPC Research: Portland, OR. Carey, S. M., Lucas, L. M., Waller, M. S., Lambarth, C. H., Linhares, R., Weller, J. M., & Finigan, M. W. (Jan. 2009) Vermont Drug Courts: Rutland County Adult Drug Court Process, Outcome, and Cost Evaluation. A report to the Vermont Judiciary. NPC Research, Portland, OR. Carey, S. M., & Waller, M. S. (Dec. 2008) California Drug Courts: Costs and Benefits PHASE III: DC-CSET Statewide Launch Superior Court of Sacramento County Sacramento Drug Court Site-Specific Report. A report to the California Administrative Office of the Courts. Carey, S. M. (2008, October) Examples of Drug Court Rewards, Sanctions and other Responses. Distributed at New England Association of Drug Court Professionals Annual Conference. Boston: MA. Carey, S. M., & Finigan, M. W. (2008, October) Implementation of the Ten Key Components: Variations in Practice Across 18 Drug Courts. Presented at New England Association of Drug Court Professionals Annual Conference. Boston: MA. Carey, S. M., & Finigan, M. W. (2008, October) Adult Drug Courts: Some Answers to our Burning Questions: How Drug Court Practices Impact Recidivism and Costs. Presented at New England Association of Drug Court Professionals Annual Conference. Boston: MA. Burrus, S. W. M., Carey, S. M., Finigan, M. W. (2008, October) Are Family Treatment Drug Courts Effective? Results from two studies and six sites. Presented at New England Association of Drug Court Professionals Annual Conference. Boston: MA. Mackin, J. R., Carey, S. M., Finigan, M. W., Linhares, R., & James, D. (Oct. 2008) Calvert County Juvenile Drug Court Process Evaluation. A report to the Maryland Judiciary, Office of Problem-Solving Courts. NPC Research: Portland, OR. Mackin, J. R., Carey, S. M., Finigan, M. W., Lucas, L. M., Strong, S. E., & Waller, M. S. (Oct. 2008) Prince George’s County Circuit Court Adult Drug Court Outcome and Cost Evaluation. A report to the Maryland Judiciary, Office of Problem-Solving Courts. NPC Research: Portland, OR. Mackin, J. R., Carey, S. M., Finigan, M. W., Allen, T. L., Linhares, R., & James, D. (Sept. 2008) Somerset County Juvenile Drug Treatment Court Process Evaluation. A report to the Maryland Judiciary, Office of Problem-Solving Courts. NPC Research: Portland, OR. Mackin, J. R., Carey, S. M., Finigan, M. W., Allen, T. L., Linhares, R., & James, D. (Aug. 2008) Cecil County Adult Drug Treatment Court (Circuit Court) Process Evaluation. A report to the Maryland Judiciary, Office of Problem-Solving Courts. NPC Research: Portland, OR. Mackin, J. R., Carey, S. M., Finigan, M. W., Mackin, R., Weller, J. M., & James, D. (Aug. 2008) Worcester County Adult Circuit and District Drug Treatment Courts Process Evaluation. A report to the Maryland Judiciary, Office of Problem-Solving Courts. NPC Research: Portland, OR. Mackin, J. R., Carey, S. M., Finigan, M. W., Martin, S. J., Linhares, R., Weller, J. M., & James, D. (Aug. 2008) Howard County Adult Drug/DUI Court (District Court) Process Evaluation. A report to the Maryland Judiciary, Office of Problem-Solving Courts. NPC Research: Portland, OR. Mackin, J. R., Carey, S. M., Finigan, M. W., Martin, S. J., Linhares, R., Weller, J. M., & James, D. (Aug. 2008) Montgomery County Adult Drug Court (Circuit Court) Process Evaluation. A report to the Maryland Judiciary, Office of Problem-Solving Courts. NPC Research: Portland, OR. Mackin, J. R., Carey, S. M., Finigan, M. W., Lucas, L. M., Lambarth, C. H., & Waller, M. S. (June 2008) Goodwill Industries of the Chesapeake Employment Enhancement Program at Baltimore City Drug Treatment Court – Outcome & Cost Evaluation NPC Research: Portland, OR. Mackin, J. R., Carey, S. M., Finigan, M. W., Lucas, L. M., Lambarth, C. H., & Waller, M. S. (June 2008) Employment Enhancement Program at Baltimore City Drug Treatment Court: Outcome & Cost Evaluation. A report to the Goodwill Industries of the Chesapeake and the Maryland Judiciary, Office of Problem-Solving Courts. NPC Research: Portland, OR. Carey, S. M., Finigan, M. W., & Mackin, J. R. (2008, May) How Drug Court Practices Impact Recidivism and Costs. Powerpoint presented at the annual meeting of the National Association of Drug Court Professionals, St. Louis, MO. Burrus, S. W. M., Carey, S. M., Mackin, J. R., & Finigan, M. W. (2008, May) Family Drug Treatment Courts and Juvenile Drug Courts: Outcomes, Costs and Promising Practices. Powerpoint presented at the annual meeting of the National Association of Drug Court Professionals, St. Louis, MO. Burrus, S. W. M., Carey, S. M., Mackin, J. R., & Finigan, M. W. (May 2008) Family Drug Treatment Courts and Juvenile Drug Courts: Outcomes, Costs and Promising Practices. Powerpoint presented at the annual meeting of the National Association of Drug Court Professionals, St. Louis, MO. Carey, S. M., Finigan, M. W., & Mackin, J. R. (May 29, 2008) How Drug Court Practices Impact Recidivism and Costs. Powerpoint presented at the annual meeting of the National Association of Drug Court Professionals, St. Louis, MO. Carey, S. M., & Perkins, T. (2008, April) Methamphetamine and the latest research on promising practices for drug courts. Powerpoint presented at the annual meeting of the Missouri Association of Drug Court Professionals, Osage Beach, MO. Mackin, J. R., Carey, S. M., Finigan, M. W., Allen, T. L., Linhares, R., & James, D. (April 2008) Wicomico County Adult Drug Treatment Court (Circuit Court) Process Evaluation. A report to the Maryland Judiciary, Office of Problem-Solving Courts. NPC Research: Portland, OR. Mackin, J. R., Carey, S. M., Finigan, M. W., Lucas, L. M., Strong, S. E., & Waller, M. S. (April 2008) Harford County District Court Adult Drug Court, Outcome and Cost Evaluation. A report to the Maryland Judiciary, Office of Problem-Solving Courts. NPC Research: Portland, OR. Carey, S. M., & Perkins, T. (April 24, 2008) Methamphetamine and the latest research on promising practices for drug courts. Powerpoint presented at the annual meeting of the Missouri Association of Drug Court Professionals, Osage Beach, MO. Carey, S. M., Pukstas, K., Waller, M. S., Mackin, R. M., & Finigan, M. W. (March 2008) Drug Courts and State-Mandated Drug Treatment Programs: Outcomes, Costs, and Consequences: Drug Court and Proposition 36 in California NPC Research: Portland, OR. Carey, S. M., Pukstas, K., Waller, M. S., Mackin, R. M., & Finigan, M. W. (March 2008) Courts and State-Mandated Drug Treatment Programs: Outcomes, Costs, and Consequences: Final Report NPC Research: Portland, OR. Carey, S. M., Finigan, M. W., & Pukstas, K. (March 2008) Exploring the Key Components of Drug Courts: A Comparative Study of 18 Adult Drug Courts on Practices, Outcomes and Costs. NPC Research: Portland, OR. Mackin, J. R., Carey, S. M., Finigan, M. W., Allen, T. L., Linhares, R., & James, D. (Nov. 2007) Frederick County Drug Treatment Court (Circuit Court) Process Evaluation A report to the Maryland Judiciary, Office of Problem-Solving Courts. NPC Research: Portland, OR. Carey, S. M., Fuller, B. E., & Kissick, K. (Oct. 2007) Michigan DUI Courts Outcome Evaluation: Final Report. NPC Research: Portland, OR. Mackin, J. R., Carey, S. M., Finigan, M. W., Martin, S. J., Linhares, R., & Weller, J. M. (Oct. 2007) Montgomery County Juvenile Drug Court Process Evaluation. A report to the Maryland Judiciary, Office of Problem-Solving Courts. NPC Research: Portland, OR. Crumpton, D., Mackin, J. R., Weller, J. M., Linhares, R., Carey, S. M., & Finigan, M. W. (Sept. 2007) Baltimore City Drug Treatment Court (Adult Offenders in District Court) Process Evaluation. A report to the Maryland Judiciary, Office of Problem-Solving Courts. NPC Research: Portland, OR. Mackin, J. R., Carey, S. M., Finigan, M. W., Linhares, R., Weller, J. M., & Mackin, R. J. (Sept. 2007) Prince George’s County Juvenile Drug Court Process Evaluation. A report to the Maryland Judiciary, Office of Problem-Solving Courts, & the Maryland Governor’s Office on Crime Control and Prevention. NPC Research: Portland, OR. Mackin, J. R., Carey, S. M., Finigan, M. W., Mackin, R. J., Linhares, R., & Weller, J. M. (Sept. 2007) Talbot County Juvenile Drug Court, Process Evaluation A report to the Maryland Judiciary, Office of Problem-Solving Courts. NPC Research: Portland, OR. Mackin, J. R., Carey, S. M., Finigan, M. W., Martin, S. J., Linhares, R., & Weller, J. M. (Aug. 2007) Dorchester County Juvenile Drug Court Process Evaluation A report to the Maryland Judiciary, Office of Problem-Solving Courts. NPC Research: Portland, OR. Crumpton, D., Mackin, J. R., Weller, J. M., Linhares, R., Carey, S. M., & Finigan, M. W. (July 2007) Baltimore City Drug Treatment Court (Adult Offenders in Circuit Court) Process Evaluation. A report to the Maryland Judiciary, Office of Problem-Solving Courts. NPC Research: Portland, OR. Mackin, J. R., Carey, S. M., Finigan, M. W., Allen, T. L., Linhares, R., & Weller, J. M. (July 2007) Caroline County Juvenile Drug Court Process Evaluation, Final Report. A report to the Maryland Judiciary, Office of Problem-Solving Courts. NPC Research: Portland, OR. Crumpton, D., Mackin, J. R., Weller, J. M., Linhares, R., Carey, S. M., & Finigan, M. W. (July 2007) Harford County Adult District Drug Court Process Evaluation. A report to the Maryland Judiciary, Office of Problem-Solving Courts. NPC Research: Portland, OR. Mackin, J. R., Crumpton, D., Weller, J. M., Linhares, R., Carey, S. M., & Finigan, M. W. (June 2007) Prince George’s County Circuit Court Adult Drug Court Process Evaluation, Final Report. A report to the Maryland Judiciary, Office of Problem-Solving Courts. NPC Research: Portland, OR. Linhares, R., Wiest, K. L., Martin, S. J., Waller, M., Cox, A., Carey, S. M., & Finigan, M. W. (April 2007) Indiana Drug Courts: Vanderburgh County Juvenile Drug Court Program Process Evaluation NPC Research: Portland, OR. Wiest, K. L., Martin, S. J., Waller, M., Cox, A., Linhares, R., Crumpton, D., Carey, S. M., & Finigan, M. W. (April 2007) Indiana Drug Courts: St. Joseph County Drug Court Process, Outcome and Cost Evaluation NPC Research: Portland, OR. Wiest, K. L., Martin, S. J., Waller, M., Cox, A., Linhares, R., Crumpton, D., Carey, S. M., & Finigan, M. W. (April 2007) Indiana Drug Courts: Monroe County Drug Treatment Court Process, Outcome and Cost Evaluation NPC Research: Portland, OR. Wiest, K. L., Martin, S. J., Waller, M., Cox, A., Linhares, R., Carey, S. M., & Finigan, M. W. (April 2007) Indiana Drug Courts: Vanderburgh County Day Reporting Drug Court Process, Outcome and Cost Evaluation NPC Research: Portland, OR. Finigan, M. W., Carey, S. M., & Cox, A. A. (April 2007) The Impact of a Mature Drug Court Over 10 Years of Operation: Recidivism and Costs: Final Report. NPC Research: Portland, OR. Wiest, K. L., Carey, S. M., Martin, S.J., Waller, M. S., Cox, A. A., Linhares, R., & Carey, S. M. (April 2007) Indiana Drug Courts: Vanderburgh County Juvenile Drug Court Process, Outcome and Cost Evaluation: Final Report. NPC Research: Portland, OR. Wiest, K. L., Carey, S. M., Martin, S. J., Waller, M. S., Cox, A. A., Linhares, R., & Crumpton, D. (April 2007) Indiana Drug Courts: Vigo County Drug Court Process, Outcome and Cost Evaluation: Final Report. NPC Research: Portland, OR. Finigan, M. W., Carey, S. M., & Cox, A. A. (April 2007) The Impact of a Mature Drug Court Over 10 Years of Operation: Recidivism and Costs: Final Report NPC Research: Portland, OR. Wiest, K. L., Carey, S. M., Martin, S.J., Waller, M. S., Cox, A. A., Linhares, R., & Carey, S. M. (April 2007) Indiana Drug Courts: Vanderburgh County Juvenile Drug Court Process, Outcome and Cost Evaluation: Final Report NPC Research: Portland, OR. Wiest, K. L., Carey, S. M., Martin, S. J., Waller, M. S., Cox, A. A., Linhares, R., & Carey, S. M. (April 2007) Indiana Drug Courts: Tippecanoe County Juvenile Drug Treatment Court Process, Outcome and Cost Evaluation: Final Report NPC Research: Portland, OR. Wiest, K. L., Carey, S. M., Martin, S. J., Waller, M. S., Cox, A. A., Linhares, R., & Crumpton, D. (April 2007) Indiana Drug Courts: Vigo County Drug Court Process, Outcome and Cost Evaluation: Final Report NPC Research: Portland, OR. Wiest, K. L., Carey, S. M., Martin, S. J., Waller, M. S., Cox, A. A., Linhares, R., & Crumpton, D. (April 2007) Indiana Drug Courts: St. Joseph County Drug Court Program Process, Outcome and Cost Evaluation: Final Report NPC Research: Portland, OR. Wiest, K. L., Carey, S. M., Martin, S. J., Waller, M. S., Cox, A. A., Linhares, R., & Crumpton, D. (April 2007) Indiana Drug Courts: Monroe County Drug Treatment Court Process, Outcome and Cost Evaluation: Final Report NPC Research: Portland, OR. Wiest, K. L., Carey, S. M., Martin, S. J., Waller, M. S., Cox, A. A., & Linhares, R. (April 2007) Indiana Drug Courts: Vanderburgh County Day Reporting Drug Court Evaluation: Final Report NPC Research: Portland, OR. Wiest, K. L., Carey, S. M., Martin, S. J., Waller, M. S., Cox, A. A., Linhares, R. (April 2007) Indiana Drug Courts: A Summary of Evaluation Findings in Five Adult Programs NPC Research: Portland, OR. Carey, S. M., & Waller, M. (March 2007) Guam Adult Drug Court Outcome Evaluation: Final Report NPC Research: Portland, OR. Mackin, J. R., Crumpton, D., Weller, J. M., Linhares, R., Carey, S. M., & Finigan, M. W. (March 2007) Anne Arundel County Adult Drug Court (District Court) Process Evaluation, Final Report A report to the Maryland Judiciary, Office of Problem-Solving Courts. NPC Research: Portland, OR. Carey, S. M., Finigan, M. W., Crumpton, D., & Waller, M. S. (Nov. 2006) California Drug Courts: Outcomes, Costs and Promising Practices: An Overview of Phase II in a Statewide Study Journal of Psychoactive Drugs, 38 (4),345-356. Carey, S. M., Waller, M. S., & Marchand, G. (Oct. 2006) Kalamazoo County Adult Drug Treatment Court Outcome and Cost Evaluation: Final Report NPC Research: Portland, OR. Pukstas, K., Weller, J. M., Brekhus, J., Crumpton, D., Carey, S. M., Mackin, J. R., & Finigan, M. W. (Oct. 2006) Baltimore City Juvenile Drug Court Performance Evaluation: Program Process, Outcome and Cost Analyses: Final Report NPC Research: Portland, OR. Pukstas, K., Weller, J. M., Brekhus, J., Crumpton, D., Carey, S. M., Mackin, J. R., & Finigan, M. W. (Oct. 2006) Harford County Juvenile Drug Court Performance Evaluation: Program Process, Outcome and Cost Analyses: Final Report NPC Research: Portland, OR. Marchand, G., Waller, M. S., & Carey, S. M. (Sept. 2006) Barry County Adult Drug Court Outcome and Cost Evaluation: Final Report NPC Research: Portland, OR. Carey, S. M., Waller, M. S., & Marchand, G. (2006) Malheur County Adult Drug Court (S.A.F.E. Court) Cost Evaluation: Final Report NPC Research: Portland, OR. Carey, S. M., Waller, M. S., & Marchand, G. (April 2006) Clackamas County Juvenile Drug Court Enhancement: Process, Outcome/Impact and Cost Evaluation Final Report Submitted to the Clackamas County Juvenile Drug Court and the Bureau of Justice Assistance, Office of Justice Programs, U.S. Department of Justice. NPC Research, Portland, OR. Pukstas, K., Weller, J. M., Brekhus, J., Crumpton, D., Carey, S. M., Mackin, J. R., & Finigan, M. W. (Feb. 2006) Maryland Drug Treatment Courts: Interim Report of the Effectiveness of Juvenile Drug Courts NPC Research: Portland, OR. Carey, S. M., & Waller, M. S. (Sept. 2005) Guam Adult Drug Court Process Evaluation: Final Report. NPC Research: Portland, OR. Carey, S. M., & Waller, M. S. (Sept. 2005) Guam Adult Drug Court Process Evaluation: Final Report NPC Research: Portland, OR. Carey, S. M., Crumpton, D., Finigan, M. W., & Waller, M. S. (Aug. 2005) California Drug Courts: A Methodology for Determining Costs and Benefits PHASE II: Testing the Methodology: Final Report NPC Research: Portland, OR. Tarte, J. M., Carey, S. M., & Jones, R. J. (April 2005) Children’s Justice Act: An Examination of Time to Jurisdiction for Dependency Cases in Clackamas and Columbia Counties NPC Research: Portland, OR. Carey, S. M., & Marchand, G. (Jan. 2005) Marion County Adult Drug Court Outcome Evaluation: Final Report. NPC Research: Portland, OR. Carey, S. M., & Marchand, G. (Jan. 2005) Malheur County Adult Drug Court (S.A.F.E. Court) Outcome Evaluation: Final Report NPC Research: Portland, OR. Crumpton, D., Carey, S. M., & Finigan, M. W (Oct. 2004) Enhancing Cost Analysis of Drug Courts: The Transactional and Institutional Cost Analysis Approach NPC Research: Portland, OR. Carey, S. M. (Feb. 2004) Clackamas County Juvenile Drug Court Outcome Evaluation: Final Report NPC Research: Portland, OR. Carey, S. M., Weller, J. M., & Roth, R. (Sept. 2003) Marion County Adult Drug Court Process Evaluation: Final Report. NPC Research: Portland, OR. Carey, S. M., Weller, J. M., & Heiser, C. (Sept. 2003) Malheur County Adult Drug Court (S.A.F.E. Court) Process Evaluation: Final Report NPC Research: Portland, OR. Carey, S. M. & Finigan, M. W. (July 2003) A Detailed Cost Analysis in a Mature Drug Court Setting: A Cost-Benefit Evaluation of the Multnomah County Drug Court. NPC Research: Portland, OR. Carey, S. M., Weller, J. M., & Roth, R. (July 2003) Clackamas County Juvenile Drug Court Process Evaluation: Final Report. NPC Research: Portland, OR. Finigan, M. W., Barron, N., & Carey, S. M. (2003) Effectively Assessing and Preparing Inmates for Community Substance Abuse Treatment: The Portland Target Cities Project In-Jail Intervention. In Clinical Assessment and Substance Abuse Treatment: The Target Cities Experience (pp. 165–178). New York: State University of New York Press. Carey, S. M., Finigan, M. W., Crumpton, D., & Worcel, S. D. (Jan. 2003) California Drug Courts: A Methodology for Determining Costs and Avoided Costs, Phase I: Building the Methodology, Final Report NPC Research: Portland, OR. Finigan, M. W., Carey, S. M., Cole, R. T. M., Lucas, L. M., & Mackin, J. R. (Sept. 1999) Douglas County Drug Court Process Evaluation NPC Research: Portland, OR.